I can’t help but be reminded of Iggy Pop’s famous song Now I Wanna Be Your Dog when I hear the title of Jens Lekman’s When I Said I Wanted to Be Your Dog. Despite the music being nothing like Iggy Pop, I presume it’s an intentional reference. 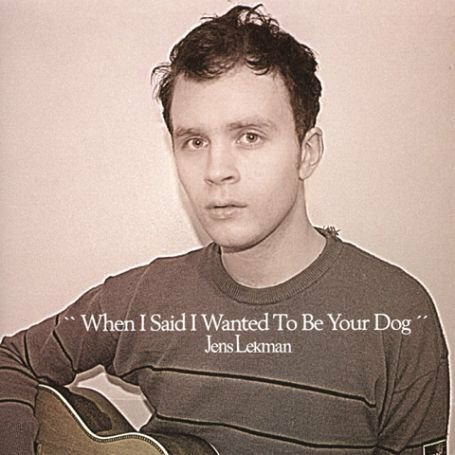 Jens claims in song that “When I said I wanted to be your dog, I wasn’t coming on to you, I just wanted to lick your face.” I don’t believe him! I’ve definitely compared Jens to Morrissey before, but there are songs here that cement my confidence it’s a good comparison. Romanticism, dramatics, and irony entwine like a perfectly woven lyrical braid. I hope Jens stays self-effacing in his later years!